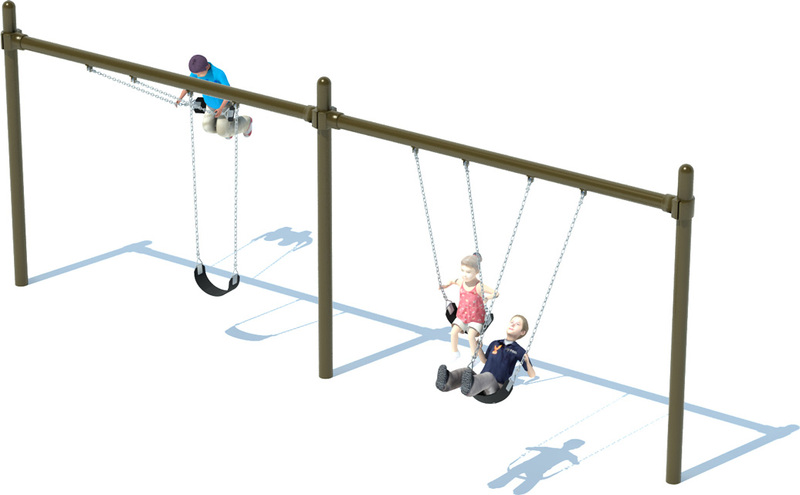 The classic fun of a swing set is essential to any park or playground. This simple 8' Single Post Swing Set includes 5" posts constructed with high-quality steel to ensure safety during fun for up to 4 children. The galvanized steel chains accompany your choice of color for the powder coated posts and swing seats that add the perfect finishing touch to match your playground.